Being in my early twenties, some might think that using anti-aging products is going a little overboard, but as the saying goes: "you are never too old - or too young - when it comes to protecting your skin." When looking for a new skincare product to try, I don't particularly look for the words "anti-aging" to be written all over them since there are many factors that contribute to aging skin other than the products we use, so I personally focus on the ingredients rather than the product claims by digging deeper and reading about their properties. 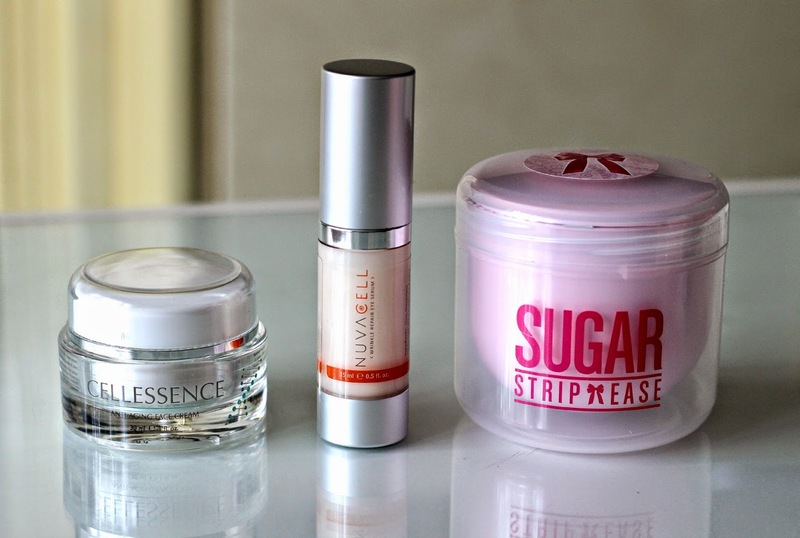 I was recently introduced to Cellessence and have been testing 3 of their products out, namely the Cellessence Anti-Aging Face Cream*, the NuvaCell Wrinkle Repair Eye Serum*, and the Sugar StripEase 100% Natural Hair Remover*. I had never heard of this brand before so I was really eager to see how these products would perform and share my thoughts with you! 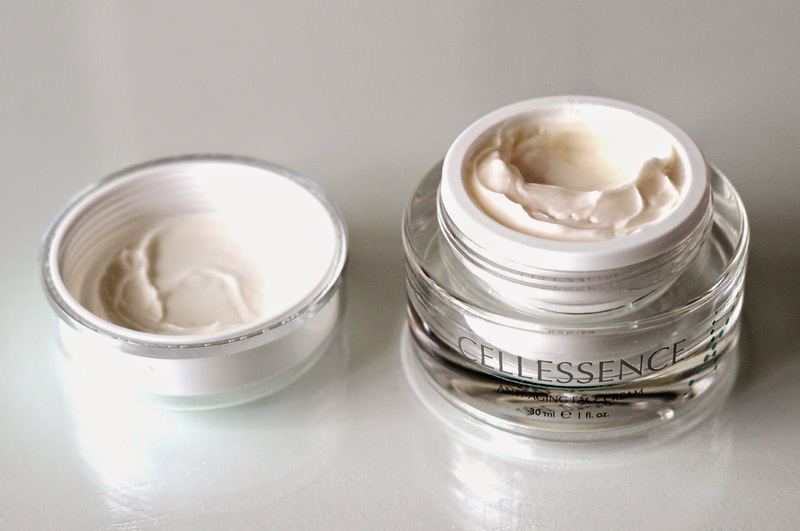 First up, the Cellessence Anti-Aging Face Cream (US$99.95), packed with ingredients said to diminish the signs of wrinkles by increasing stem cell vitality and boost cell regeneration, and it also claims to improve the skin barrier and help skin cope with climate change. I cannot attest to any visible results from its wrinkle-fighting properties since I luckily have yet to have any appear (I am hoping that with proper care they will stay away for many years to come), but what I can say is that it is a great all around cream that can be used both morning and night and is great to wear under makeup. The list of ingredients includes jojoba seed oil, sunflower seed wax, aloe leaf juice, bergamot fruit oil and licorice root extract just to name a few. The cream has a pleasant scent to it, very clean and light. My dry patches which I occasionally get due to acne don't stand a chance since my skin stays ultra-hydrated whenever I use it. 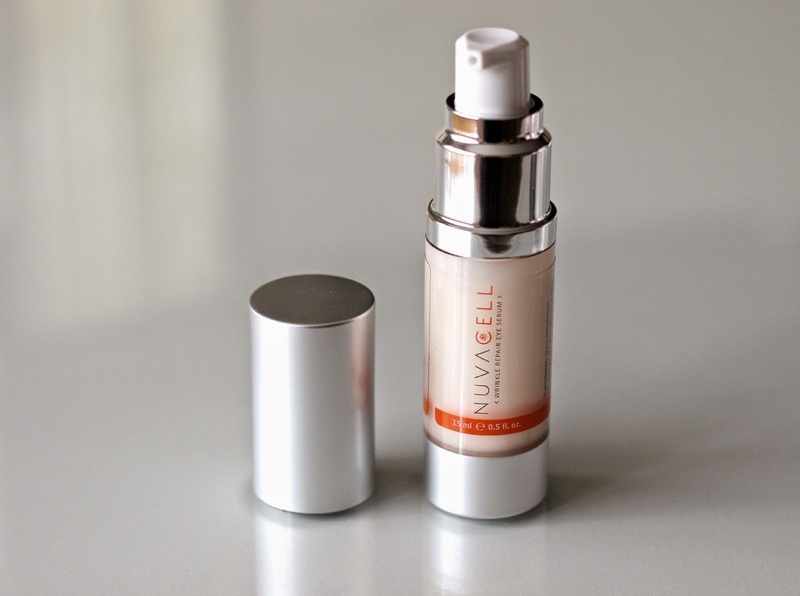 Continuing with facial care, I have also been trying the NuvaCell Wrinkle Repair Eye Serum (US$79.95). I was really looking forward to this product as the skin around my eyes is an area I tend to neglect, so having a product that targets that specific area would come in handy. It contains very similar key ingredients to the Anti-Aging Cream, but being a serum is lighter in texture and skins in very rapidly. I am not particularly fond of the scent as it smells quite strongly of some ingredient and I can't put my hand on what exactly it is. Apart from that though it has been really nice at keeping my under eyes moisturized. I really like applying it prior to concealer for a smooth finish. Last but not least, the highlight of the bunch in my opinion: the Sugar StripEase 100% Natural Hair Remover (US$24.95), which comes in a box with 3 applicators (2 large and 1 small), 15 washable, non-fraying strips and an instruction pamphlet. This product is vegan and free from artificial chemicals and is made with two simple ingredients: sucrose (a blend of pure sugar syrups) and water. Since it is naturally water soluble, you won't be left with a sticky residue which is the issue I have with the current waxing kit I own. It's very easy to use too: all you need to do is place the jar in the microwave for 60 seconds or in a saucepan by placing the jar in boiling water for a short while just to warm up the wax and melt it to a runny consistency. Then on dry, clean skin, you apply a thin layer with the spatula in the direction of hair growth, place the strip and remove the strip quickly in the opposite direction of hair growth by holding the skin taut. It is safe to use on the legs, upper lip area, bikini line and underarm. I have tested it both on my legs and underarms and it truly works like a charm. If you are someone who prefers waxing to shaving or have never tried waxing before, this product is a really great option! If you are interested in trying any of these products, they can be purchased individually, or in a bundle for US$149 (see here). I have to admit their cream and serum are on the pricier side, but I can personally justify spending US$24.95 on Sugar StripEase because it really works and I like that it is all natural. Cellessence also offers free international shipping on all orders which is always a plus! Have you tried any anti-aging face products lately? Do you notice any difference when using them? Fantastic article and informative. Makes a great gift! Hi everything looks great. Just curious do you offer any free trials? We do offer free trials for Cellessence and Nuvacell. You can go to our page at www.buycellessence.com/offer to see the full details and T&Cs. Sugar Strip Ease looks like something I would use. Will think about it. I try to keep away from chemical based products. So I would not mind trying Sugar StripEase All Natural Hair Remover. Make sure to use product that contains all natural ingredients to keep up with good skin's health.